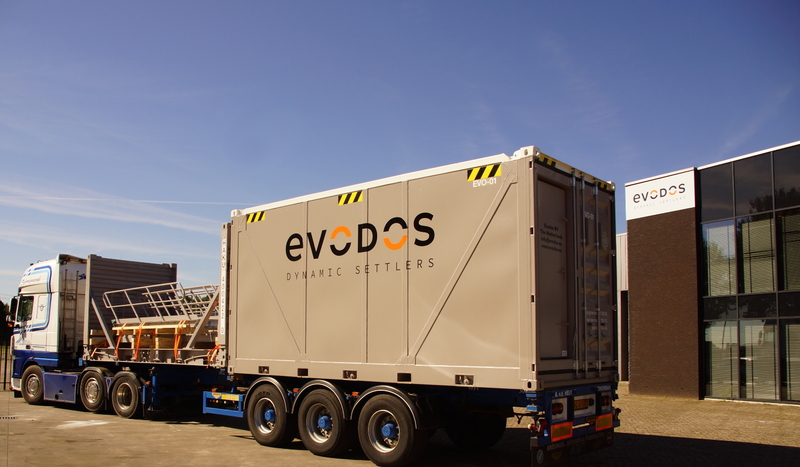 Evodos ships first portable Oil Based Mud rejuvenator to Houston. 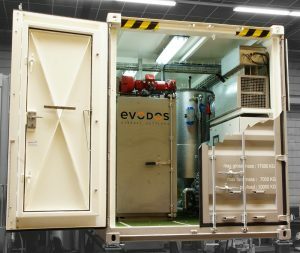 There it will be made available to several customers active in the oil & gas industry for testing and to demonstrate the capabilities. The Evodos OBM rejuvenator is the alternative to dilution as it removes (ultra)fines from spent mud. This pure mechanical process is low energy consuming and requires no chemicals or other additives. 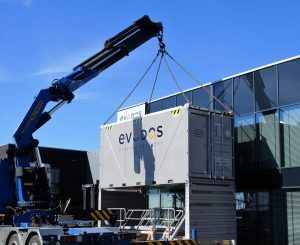 The portable unit is designed as a 20’ high cube container and approved according DNV 2.7.1 (Offshore lifting). All Equipment is designed to comply with Atex II 2 G II BT3 for hazardous environments. Together with the container we supply a subframe, with platforms to lift the unit from floor level. After several months, the container will be relocated to Canada for further demonstrations.